Here’s a quick example. Just two percent of cars in America are Chevy Corvettes or Dodge Vipers. To most of us, these two cars seem quite similar. But don’t tell that to someone who owns either car. Corvette and Viper owners agree on virtually nothing in life, except that Corvettes and Vipers are completely different vehicles. Take the spectacle of the Nürburgring a few years back. Nürburgring is a nasty, twisty track in Germany, built in 1925. The track is so treacherous that only the most nimble of sports cars perform well in time trials. More than 200 drivers have perished on the track over the past 88 years. And yet first a Viper, and then a Corvette – both notoriously poor handling cars – managed to clock record times at Nürburgring in 2009 and 2012. You can watch both runs here and here. I understand the Corvette run was so brutal that the driver managed to ruin four brand new tires in less than 8 minutes. That’s how passionately Corvette and Viper owners believe their vehicles are truly unique. They are willing to risk death to prove it. Different cars? You bet. But with the exact same market segment: Affluent men looking for the ultimate American muscle sports car. What does that have to do with marketing? Everything. Is a Prius the world’s best car? Probably not in general, but for people concerned about the environment it might be. Just as Apple is not just a computer, but a computer for people who think differently (like designers). Or, Virgin America and Southwest Airlines target vastly different travelers. All of these segments are based on unique buyers with unique needs and desires. When helping our clients with differentiation we often find one or two products that really aren’t different in terms of their market segment. They compete for the same buyers with the same needs. I call this the Corvette-Viper dilemma. Rather than force market segmentation where it doesn’t truly exist, we counsel our clients to leave those products in their segment and beat them on the details. 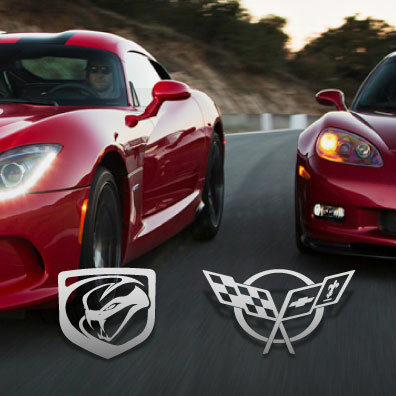 For example, Corvette and Viper share the same market segment. But the Viper has a faster Nürburgring lap time. Or, alternatively, the Corvette has more history. Buyers in that segment have no problem deciding which is the better car. My point is this: What differentiates market segments are buyers, not features. Once you define a market segment based on who the buyer is and what they need, you are done. And if a competitor’s product fits squarely in that same segment, fine. Beat them on the details. But, whatever you do, please don’t forward this post to a Corvette or Viper owner.